Commissioned pieces allow for a unique bespoke piece in which you can realise your perfect design for that special occasion. All commissions involve an initial meeting either face to face or online to discuss materials, ideas and budget with Susi. 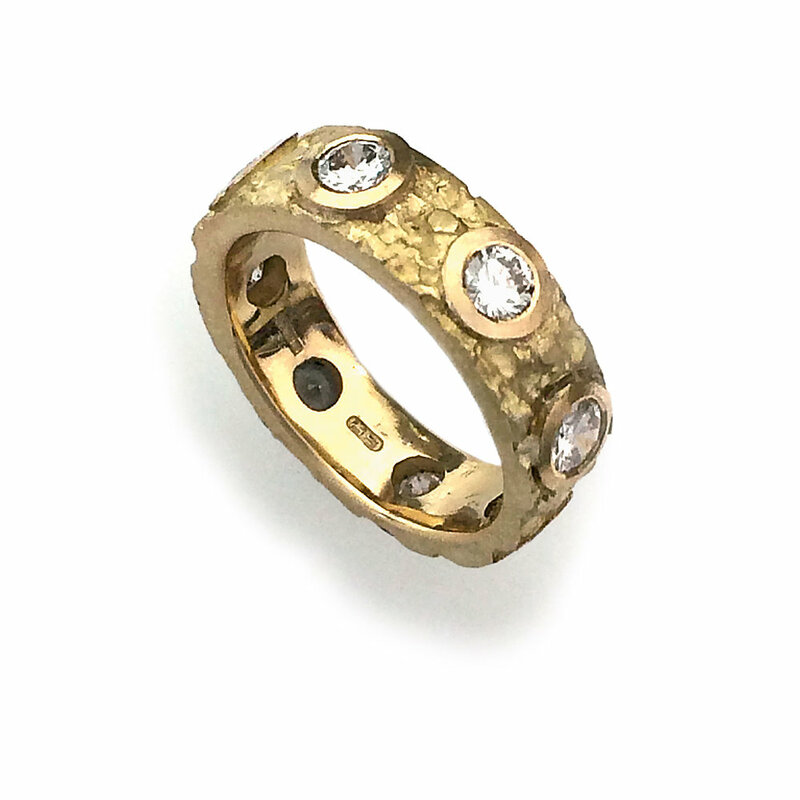 You may want to choose from the collection or customise to a particular colour way or choose a specific gemstone. 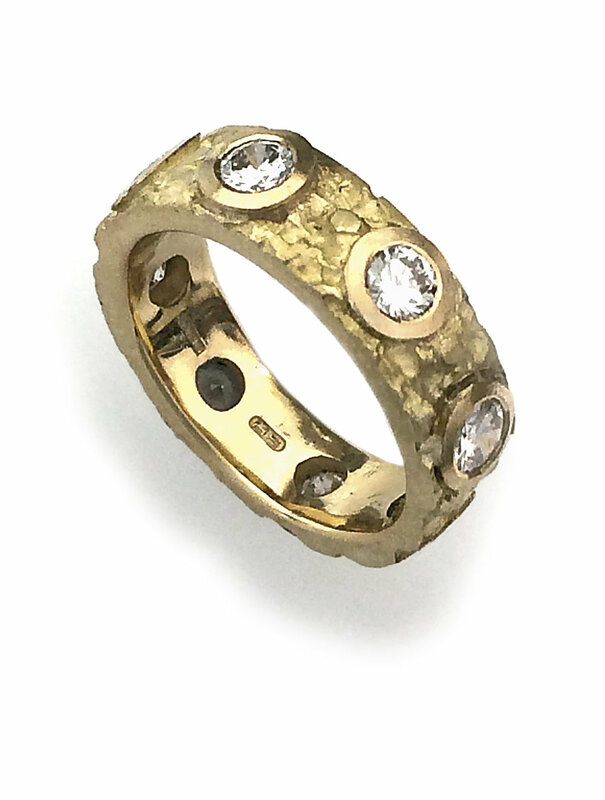 You can remodel a family heirloom where it is possible to incorporate existing gemstones. 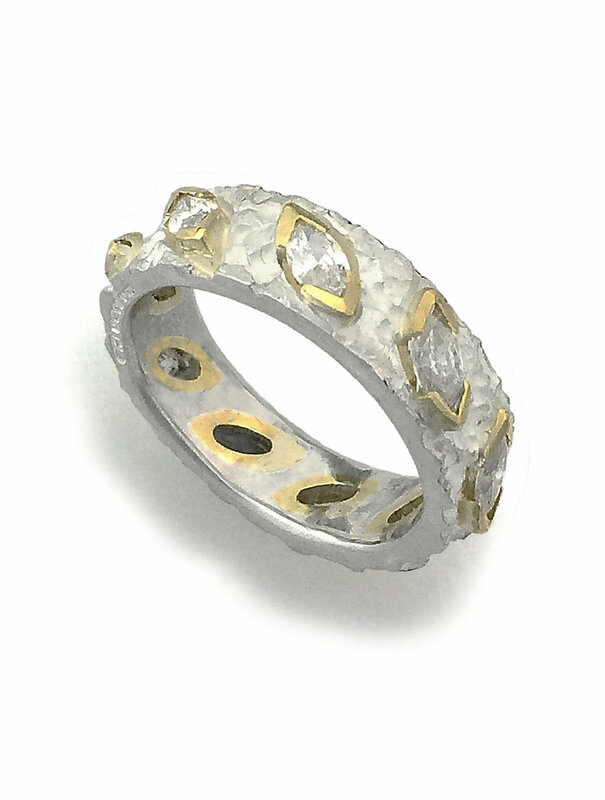 Rings can require a second meeting before the stone is set to achieve the perfect fit. Depending on the complexity of the commission, delivery can take from 4-8 weeks. 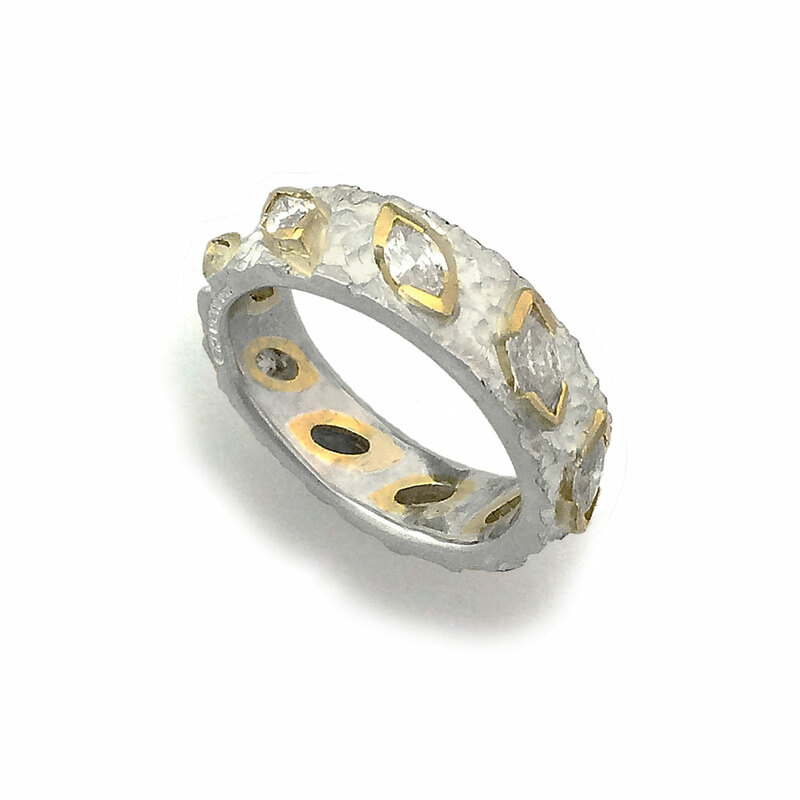 Brendan chose his wedding ring from the Orbis collection with a secret and hidden surprise on the inside of the ring.